Floods took away the festivities and fervour of “Onam” in Kerala. The color-filled festival of Kerala comes, as homeless millions stare into the darkness of uncertainty. 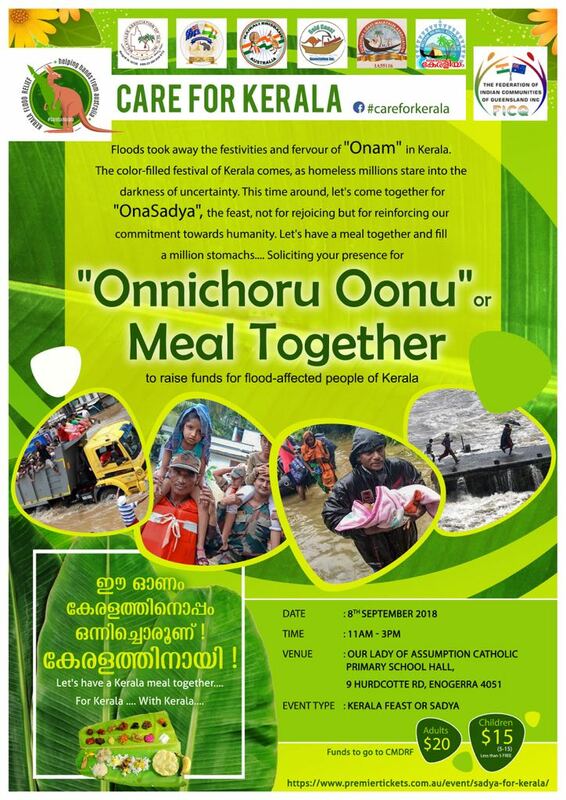 This time around, let’s come together for “Sadya – for Kerala”, the feast, not for rejoicing but for reinforcing our commitment towards humanity. Let’s have a meal together and fill a million stomachs…. 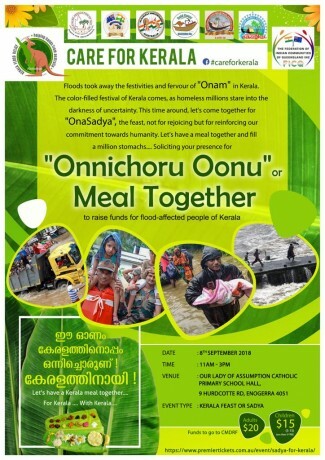 Soliciting your presence for “Onnichoru Oonu” or Meal Together, to raise funds for flood-affected people of Kerala. Join our hands to participate in #CAREFORKERALA project to carry out relief and rehab operations of the victims of monsoon calamity in Kerala.